Hey all!! You made it to winter break! 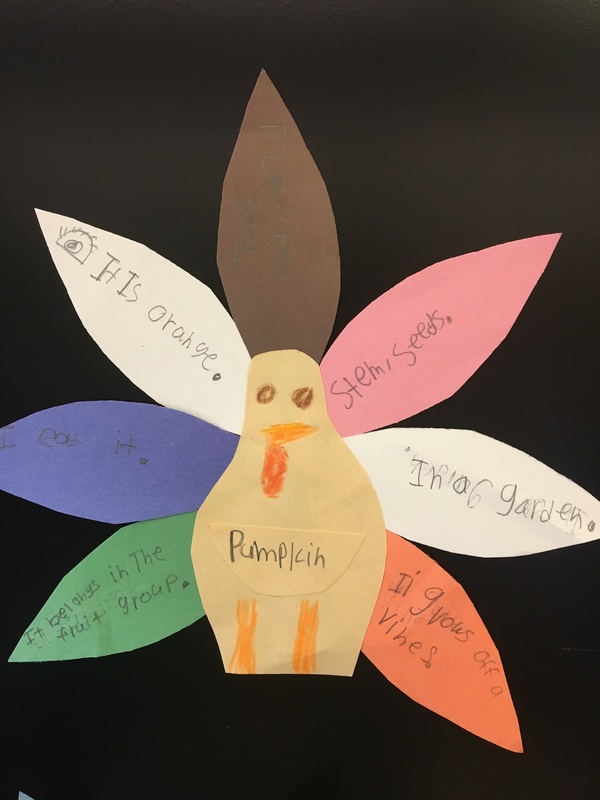 Today, Jenny Lockwood shares a fun Thanksgiving activity! I realize that you won’t be able to use this for another year, but it was too good not to share!! I will try to remember to link back to it next fall! 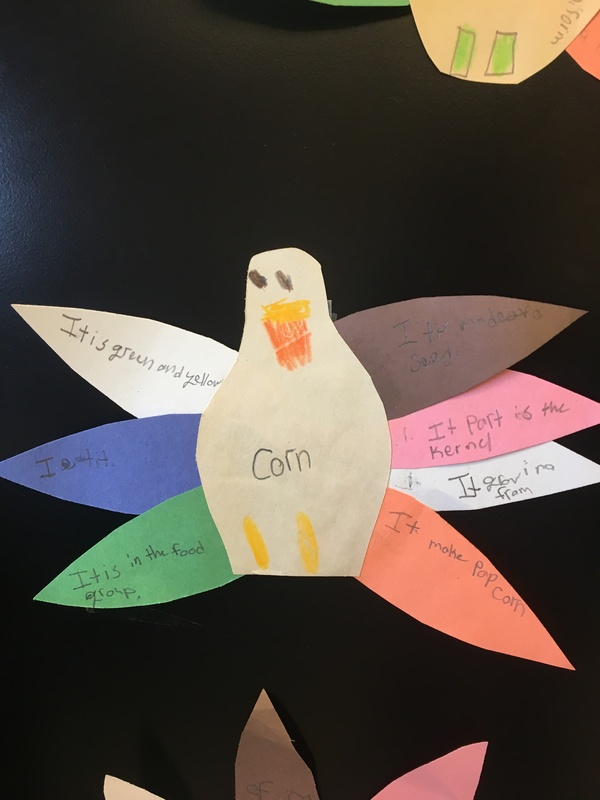 I precut turkey feathers in each of the colors of EET, then each student chose a Thanksgiving/fall themed picture vocabulary word. First, in their speech notebooks, they colored 7 dots to represent all of the EET attributes. Then, they drafted their descriptions next to the appropriate circle. They used EET poster, Eetchy, or other prompts from me as needed, to describe the vocab. 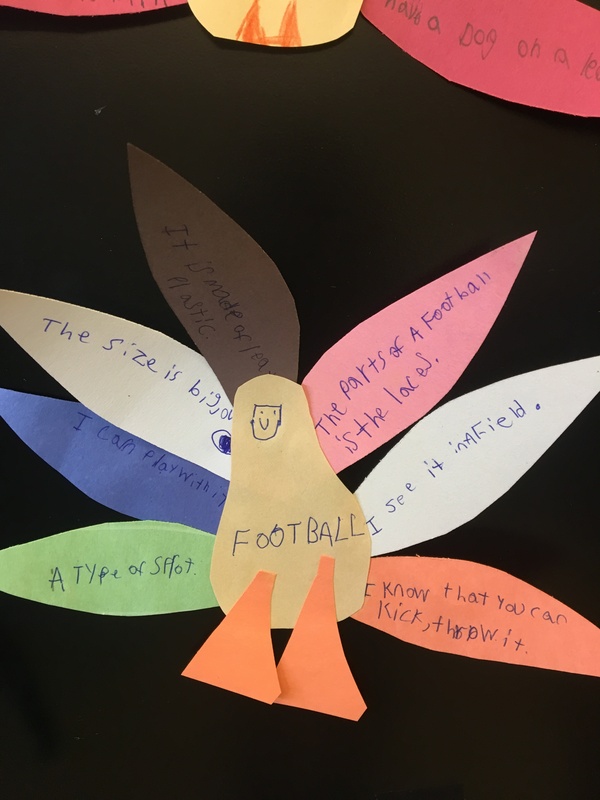 Once they were finished with the draft, they got to write their answers on the appropriate feather and make the turkey. For lower levels, they just wrote a describing word of phrase. For higher levels, they had to form grammatically correct sentences with correct punctuation. 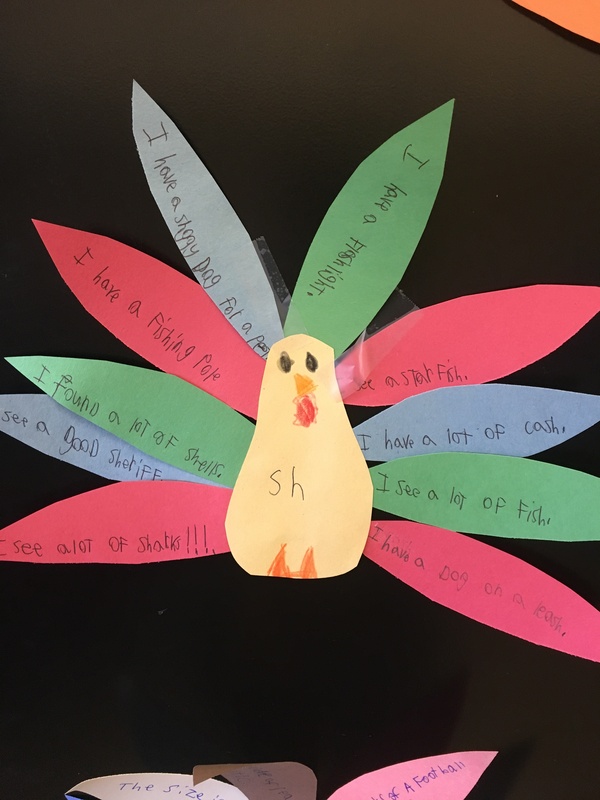 For articulation, they chose 10 words containing their target sound and wrote them on the feathers. I chose 10 feathers to get 100 utterances.